Magna International Inc. said its third-quarter profit grew compared with a year ago as revenue also climbed, but the Canadian auto supplier trimmed the outlook for the year as it projects lower light vehicle production in North America. The Aurora, Ontario-based company, which keeps its books in U.S. dollars, said on Thursday it earned $554 million or $1.62 per share for the quarter ended Sept. 30, up from $512 million or $1.38 per share a year ago. Revenue totaled nearly $9.62 billion, up from $8.86 billion in the same quarter last year. The company saw a dip in its exteriors and structures unit, which produces vehicle frames. The unit was negatively affected by inefficiencies at a plant slated to close in mid-2019. Vince Galifi, Magna’s CFO, said on an earnings call that beyond that one plant, it wasn’t any one thing that affected the unit but “just a little of this and a little of that.” He expected the unit to rebound in the fourth quarter and in 2019. The division experienced higher-than-anticipated launch costs and is building a new plant. Galifi said the impact of current aluminum and steel tariffs were “insignificant” in the quarter. “That impact of steel and scrap was an overall positive. But when you put it all together it was pretty positive,” Galifi said. “The tariffs are hurting the U.S. plants more than some other areas,” Walker said. Galifi said the cost of resin was more substantial. He sees headwinds coming strictly from resin pricing. “It’s nothing significant that will move margins in any way,” Galifi said. 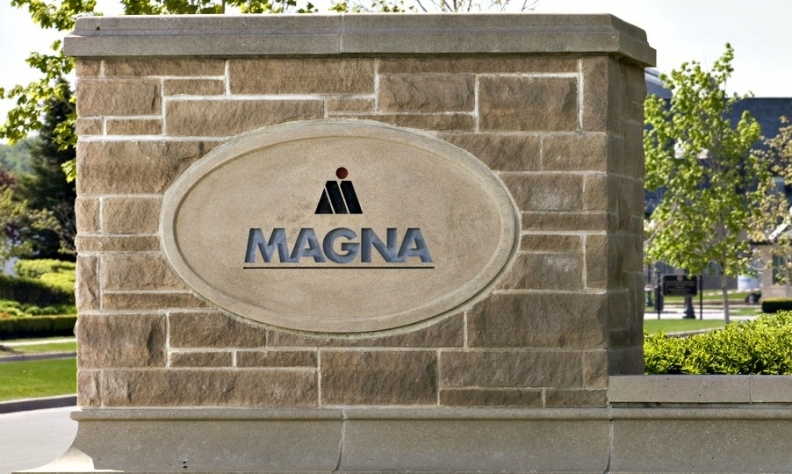 Magna continued to be a leader among suppliers in contract auto assembly. It currently assembles four vehicles for a number of automakers. The company’s complete vehicles sales were up 50 percent due in large part to the success of the Jaguar E-Pace, which it started assembling in 2017, and the Jaguar I-Pace, which began production in the first quarter of 2018. Third-quarter sales for the unit totaled $1.39 billion. Magna will add a fifth vehicle to its complete vehicle division the fourth quarter when production of the BMW Z4 begins. It will also begin building a sixth vehicle -- unnamed at the moment -- in the first quarter of 2019.